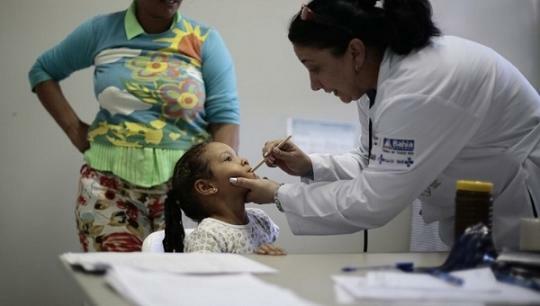 The state budget touches all Cubans: when we go to school at any level; when we visit the doctor, regardless of the severity of our health problem; when we retire and receive social security benefits; and, of course, when we pay taxes and fees. Presented here is information from the settlement report approved by deputies to the National Assembly of People’s Power Ninth Legislature, during its first period of ordinary sessions as part of the accountability process regarding the use of the people’s resources as established in Law 122. • Projected income was surpassed by 3%, reaching a total greater than 55.6 billion pesos. Assistance was provided to 185,000 persons in rest homes for older adults and centers for persons with disabilities and at-risk pregnant women. Some 1.74 million students continued their educational careers in more than 10,000 schools at the preschool, primary, and secondary level. More than 5.9 billion pesos were spent to provide benefits to 670,000 pensioners and women on maternity leave. The State Budget covered 14% of this expense. More than a billion pesos were awarded to more than 21,000 low-income persons who requested subsidies to repair or build homes. More than 46,000 conservation and repair efforts were financially supported, with work done on 101,000 houses, 11,000 apartments in multifamily buildings, and 117 group accommodations. Some 60 million pesos were spent on 173 projects at 23 scientific research centers. Programs associated with the state plan to confront climate change, Tarea Vida, were funded. Only 90% of funds allocated for the country’s water diversion project were spent, because planned imports of equipment were not completed. Funds made available directly to municipalities and provinces represented 35% of total expenditures. More than 14 billion pesos were awarded to state enterprises which generate exports or produce goods to replace imports.